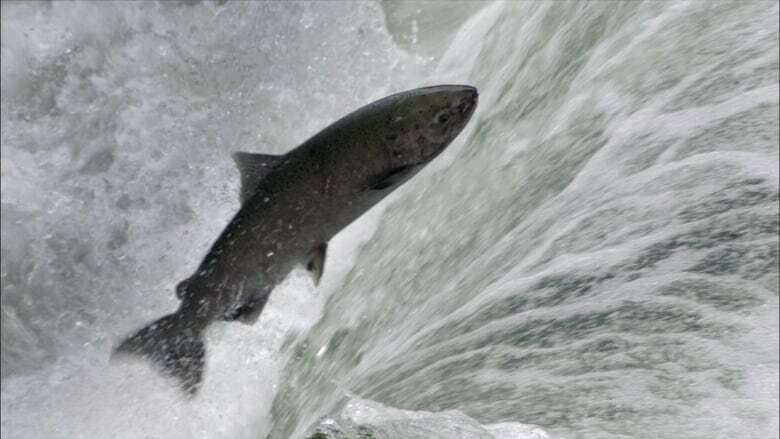 New climate-change research involving a University of British Columbia scientist predicts that one of the West Coast's most prized salmon stocks could be wiped out over the next 85 years. A study has concluded that there is a five per cent chance of a catastrophic loss of the chinook salmon by 2075, and a 98 per cent chance the population will suffer catastrophic losses by 2100, if climate change warms the water. Once past that temperature, the study found that the heart couldn't go any faster and would either slow or go arrhythmic. Chinook salmon are the primary food source for the endangered southern resident killer whale population. An earlier version of this story, which was based on information provided by UBC, said that upwards of 98 per cent of chinook salmon will be gone by 2100. The university later corrected that to say there's a 98 per cent chance the population will suffer catastrophic losses by 2100.